Welcome to Day #1 of 2014 (Happy New Year!) and the first day of Chocolate and Coconut Theme Weeks. 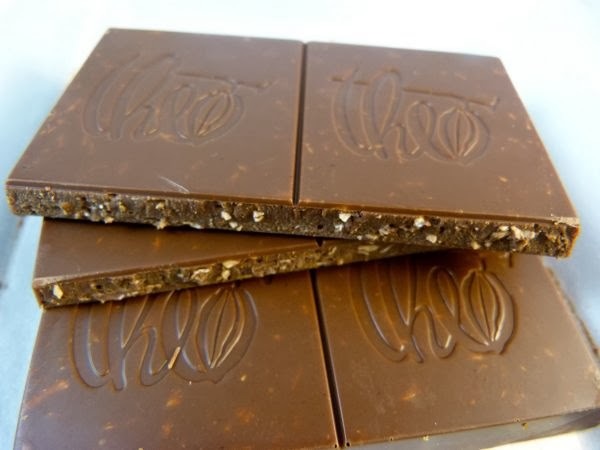 Coconut was a good choice for this month (January). First, a touch of shredded coconut may be the closest thing we could see to "snow" here in California this week. We're experiencing a drought. 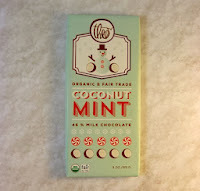 Second, coconut reminds me of warm tropical islands during cold mornings and evenings; and that is a good thing. 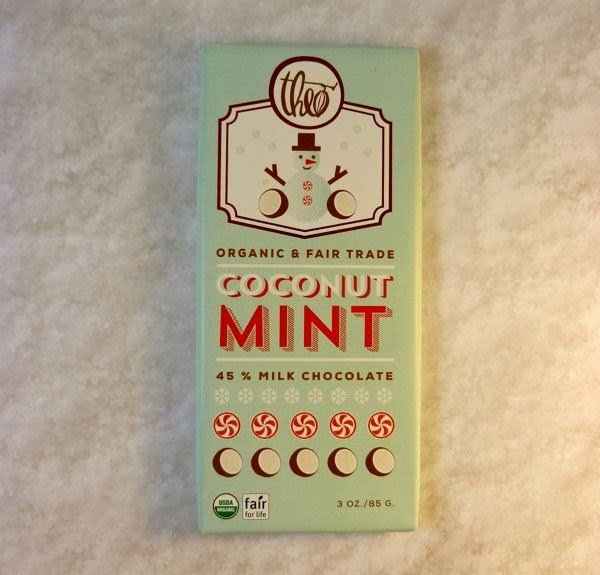 This Coconut Mint bar from Theo Chocolate (Seattle, WA) was warm and cool at the same time, if that's possible. 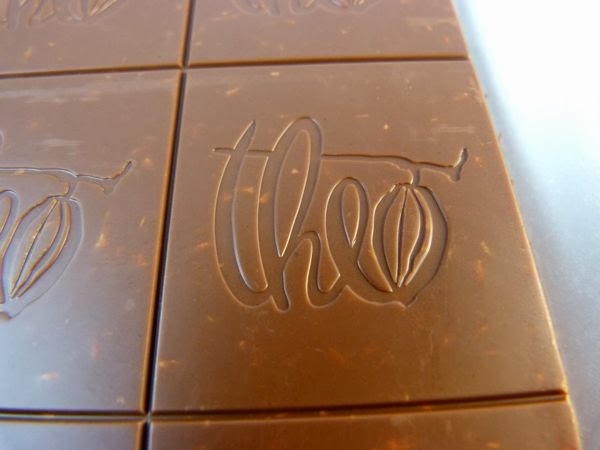 The organic and fair trade (45% cacao) milk chocolate, and the tiny riot of embedded coconut shreds, contributed the warmth and a hint of caramel. And, a faint, natural menthol note communicated a whisper of cool mint. 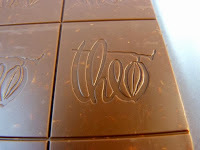 These two flavors are tough to blend successfully together, and Theo did a reasonably good job with this bar.